Home Health Care Limes are Lovely. Here’s Why? Limes, the green-skinned cousin of lemons, known for their distinctive tart and lively flavor, are a staple in the warm-weather cuisines of Southeast Asia, Mexico and Latin America. A splash of lime juice, or a pinch of finely grated zest, helps brighten any recipe, transforming simple marinades, desserts, salads, and beverages into extraordinary creations. The juice and peel not only add their refreshing flavor to all kinds of dishes but also enhance the taste of other foods. Most of the limes consumers are familiar with are a variety thought to have originated in Tahiti. They are known as Tahitian, Bearss or Persian Limes. In the U.S. Bearss limes are differentiated as being smaller and grown in California. Kaffir limes are round and bumpy-skinned. They have very little juice so the zest and leaves are used, especially in Asian and Pacific Rim cooking. Key limes, also called Mexican limes, are much smaller, round and yellowier than their more common cousins. They are tarter, intensely aromatic, with a more floral juice making it the perfect ingredient for Key lime pie. Limequats are a hybrid of limes and kumquats. 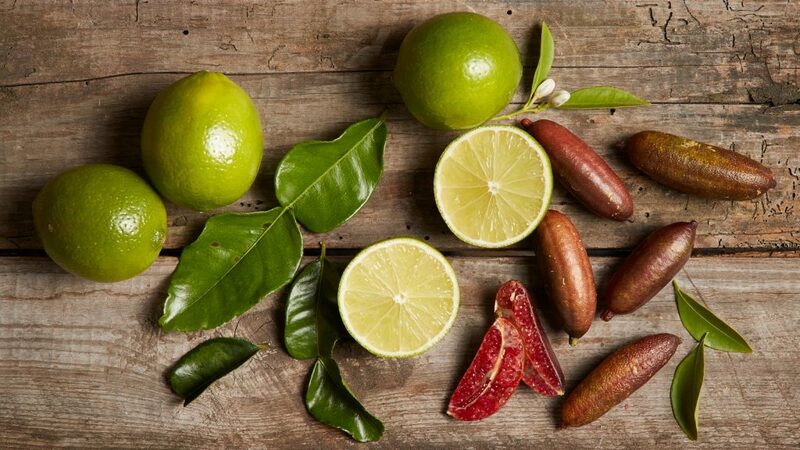 Limequats are small, round fruits that have an acidic lime taste. Limes are picked when they are dark green. They aren’t like other fruit that will continue to ripen after harvesting so it’s wise to check that they aren’t under-ripe. Look for limes that have a smooth skin, feel heavy with juice and give it a decent squeeze to make sure it gives a little. Limes will last for about a week when kept at room temperature. If you want to extend their lifespan, keep them in the fridge, they’ll last for weeks. If you juice your limes and seal in an airtight container it can be frozen for six to eight months. Limes give us flavor from both juice and zest from the skin. The challenge with the zest is to remove the green skin on the outside while avoiding the underlying bitter white pith. Citrus zesters are effective gadgets for this task but a micro plane or a grater; even a sharp knife will do the trick. Don’t forget to wash the lime first! To get the most amount of juice from limes, make sure they are at room temperature or, better still, give them twenty seconds in the microwave. Next, roll them on the counter to break up the pulp segments, cut it into quarters then squeeze away. The juice and peel are both used in medicine. Oil pressed from the fruit is called “distilled lime oil” and oil from the peel is referred to as “expressed lime oil. These oils are used as a stimulant as well as in treating nausea, diarrhea and iron deficiency. The juice can be applied directly to the skin to kill germs. Limes contain bioactive compounds, such as flavonoids, phenols and alkaloids as well as a plethora of minerals and water-soluble vitamins such as potassium, ascorbic acid, niacin, and riboflavin. These nutrients give citrus fruits antioxidant, anticancer and anti-inflammatory properties. Mixing honey with lime juice helps relieve constipation because its high acidity helps clear the tracts of the excretory system. 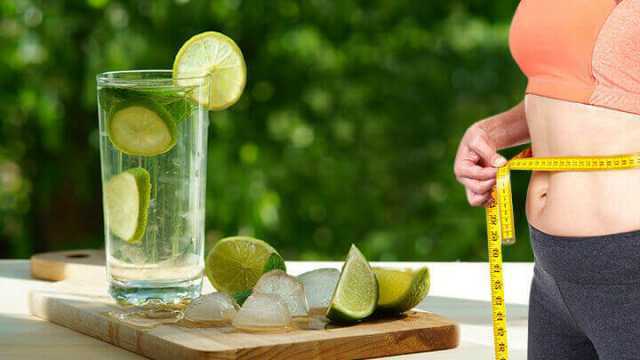 Drinking two glasses of water combined with the juice of one lime each is an effective fat burner for people looking to lose weight. Even sucking on a wedge of lime a half hour before eating has been shown to help with weight-loss. Studies conducted in West Africa showed that lime has antibiotic properties and that drinking lime juice protects against the contraction of cholera. 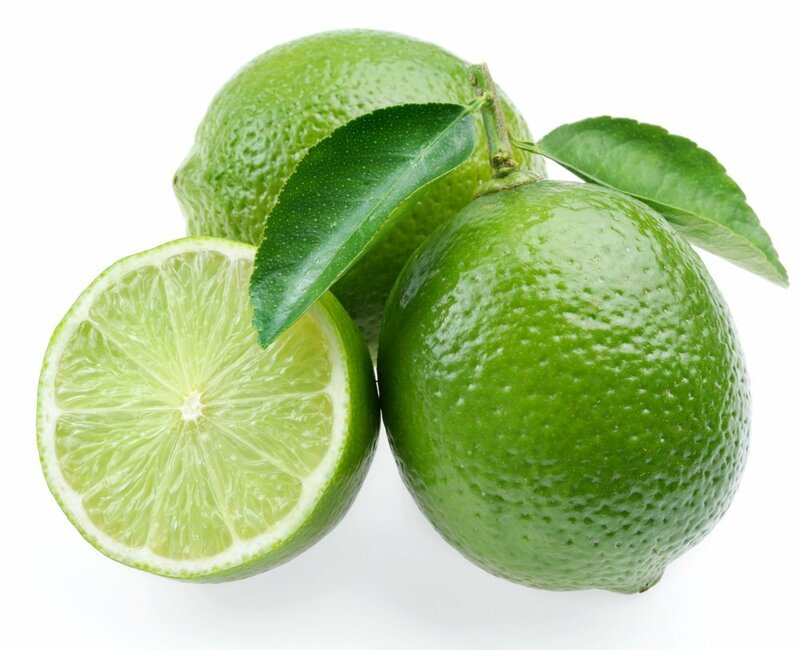 During the 19th century, British sailors were given the nickname “Limey” because they were issued vitamin-rich limes in order to prevent scurvy. After handling garlic or onions scrub your hands with lime juice and eliminate the smell. Citrus oil is toxic to ants. Make an ant pesticide by combining chopped lime peels in a jar of water and letting the concoction sit for three to five days. Strain to remove the peels and put the liquid in a spray bottle with a squirt of liquid dish soap. Extend the life of fresh-cut flowers with two teaspoons each of lime juice and sugar added to a vase of warm water. Use lime juice on your face as an astringent to ward off blemishes and shrink pores for smoother skin. Calm the itch of mosquito bites by rubbing a slice of lime on the bite. Clean your microwave by mixing three tablespoons of lime juice in a bowl of water and heat it until it boils. Remove the bowl and wipe away the gunk. Refresh a stinky garbage disposal by tossing in half a used lime. To disinfect a cutting board, pour lime juice over the surface and let it stand for fifteen minutes then wipe away with a damp cloth. Lime juice can be used to remove discoloration or stubborn stains from items such as brass doorknobs and tile floors. Next articleHow Health is Affected by Lifestyle?